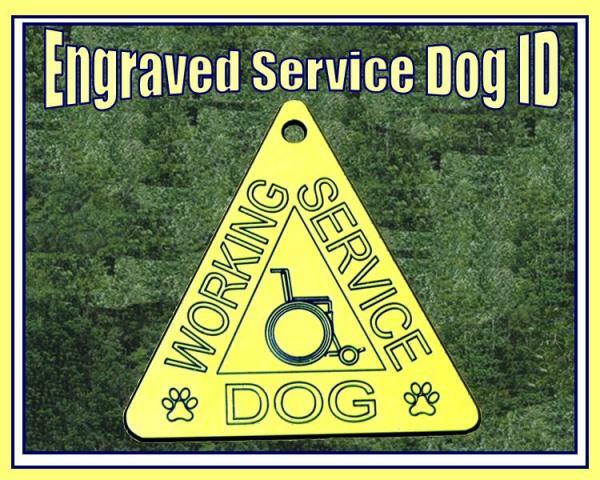 The Working Service Dog Triangle ID Tag is engraved on both sides. 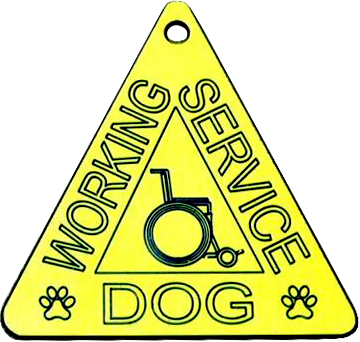 The tag is made of yellow acrylic with black, recessed lettering. The back is engraved with ADA rights and phone number.